Playground is hidden in the woods a bit, just past the picnicking area. A very scenic and restful area with a great big picnicking area and a beautiful pond. 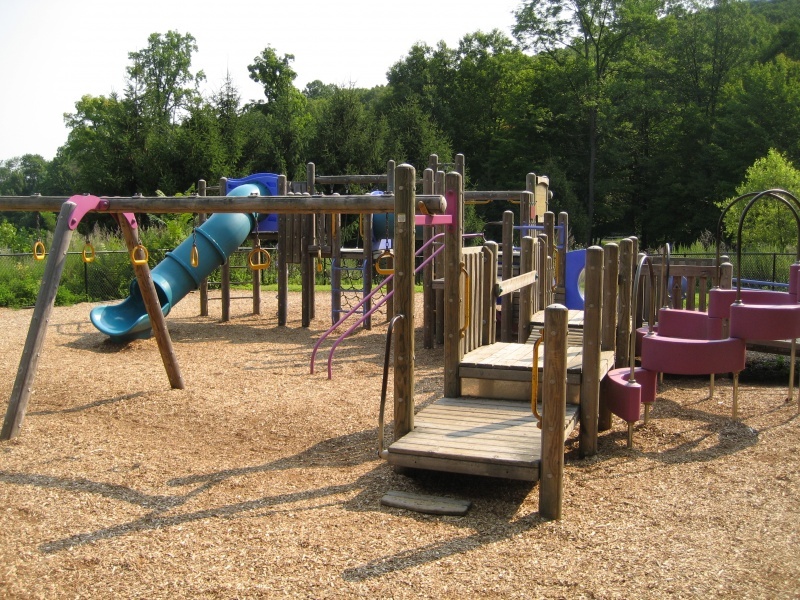 The playground itself is similar to all playgrounds at the Morris County parks, donated by Saturn, it’s made of plastic and wood and offers fun climbing structures. Of course, like most of the County parks, you can easily spend a day at Hedden Park. Nick’s Restaurant & Pizzeria is a good stop for lunch or dinner. For more detail on Hedden Park see the complete write-up on www.njplaygrounds.com.